Kanoi is the project of Austrian musician Benjamin Kantschieder. He’s released several albums and singles as Kanoi, some as a one man band and some with other musicians. Earlier this year he released the download only EP Gemstone Sunrise, which was intended as a teaser for the just released full length Buru Haze. Naeco II opens the set and immediately reminds me of Porcupine Tree’s Sky Moves Sideways album with its spaced out and valium paced rocking blend of strumming acoustic guitar, monster electric guitar attack, atmospheric washes, cascading electronic effects, and trippy vocals. A powerful Space-Psych opener. This melts seamlessly into the funky Psych rocking title track. It’s chunky Hard Psych with a slow but assertive groove, a brash dirty edge to the rhythm guitar and tasty Hendrix inspired leads. The music continues to flow as Buru Haze comes in for a deep space landing and bleeds into the short transitional The Golden Country, a drifting bit of Bluesy soundscape guitar and atmospherics which sets the stage for Windchild, a beautifully spaced out and trippy blend of Porcupine Tree and The Spacious Mind. It’s all non-stop as we smoothly transition to Song Of Distance, which once again brings to mind Porcupine Tree circa Sky Moves Sideways, but also has a touch of West Coast Psych and even Gram Parsons in the core song portion. By The Sunrise is a lovely trippy song with strumming acoustic guitar and vocals at the core, and augmented with a slow, drugged beat, scrumptious Blues-Psych guitar leads, ethereal soundscapes and swirly electronics. Quokka is a funky Space-Prog coda to By The Sunrise. And, finally, the 14+ minute A New Beginning And The Sprawling Sky wraps up the set with a blend of all the influences that came before it. It opens with Bluesy Hendrix guitar jamming along with lilting acoustic guitar and spacey keyboard driven Psychedelia, before gently launching into a steady paced Space-Psych rocker with seriously passionate guitar leads. But the themes continually shift as the music alternates between dreamy meditative passages and Hendrix-in-space Blues-Psych jams. Scrumptious! Damn, this is by far the best set I’ve heard from Kanoi yet. Each track is distinctive yet is mixed such that they all flow seamlessly from one to the next, making this very much a full album experience. Fans of early Porcupine Tree, The Spacious Mind and Pink Floyd who also have a taste for Hendrix will love this. There are several format options for Buru Haze. Clostridium Records pressed up 333 vinyl copies: 222 black vinyl gatefold LP, hand number with 16 page booklet, and 111 colored die hard edition with the same plus a digipak CD of the album with The Golden Country as a bonus track. 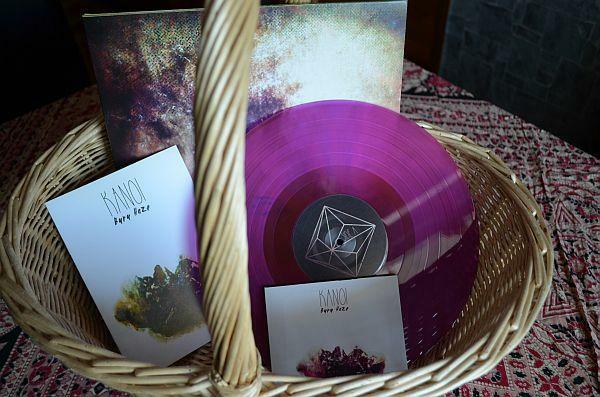 You can also buy the CD and a download edition from the Kanoi Bandcamp site.